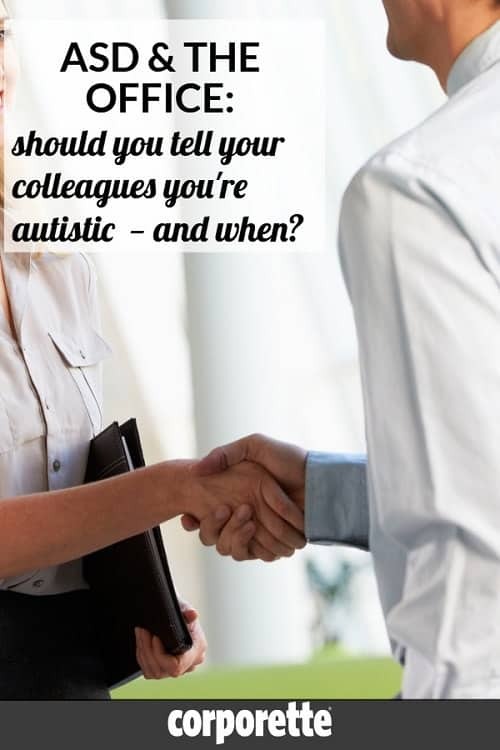 Should You Tell Your Colleagues About Your ASD? I’ve been recently diagnosed as being on the autism spectrum. It’s not a huge surprise, an assessment was begun when I was a child and discontinued because my parents were concerned about me being labeled. Now, before my diagnosis I skipped three grades, entered law school young enough that I was the youngest woman there for all three years, did incredibly well at my bar exam, and have been successfully employed. Should I go public with my diagnosis? What could go wrong? This is a really interesting question. We haven’t talked about autism before, but we recently discussed how to manage ADHD in the workplace (incidentally, up to 50% of people with autism show signs of ADHD), and we’ve also shared advice on disclosing other personal/medical information at work, such as how to announce your pregnancy at work, as well as tips for handling frequent doctors’ appointments and making time for therapy. Note to readers: Some people on the autism spectrum prefer being referred to as “a person with autism,” while others identify themselves as “an autistic person.” (This is framed as person-first vs. identity-first language.) We don’t know what Reader M prefers, so we’re using both. The term “Asperger’s syndrome,” once used to refer to people with “high-functioning” autism (although the “high”/”low” binary is not ideal), was rolled into the general diagnosis of “autism spectrum disorder” (ASD) in 2013 (not without controversy). Each person on the spectrum has different skills and challenges, as this comic and color wheel by Rebecca Burgess illustrates. As the saying goes, “If you’ve met one person with autism … you’ve met one person with autism.” Not all autistic people “think in pictures” like Temple Grandin; not all are great at holding thousands of line of code in their head like the Silicon Valley programmers Steve Silberman writes about; and not all act like Sheldon from The Big Bang Theory or Raymond from Rain Man. Autism can present differently in girls and women, which often leads to misdiagnosis, missed diagnosis, and/or late diagnosis. Also, women are generally more successful than men at camouflaging signs of autism. The most recent CDC report on autism among children estimates that 1 in 59 had a diagnosis of autism by age 8, and studies have found that between 1% and 2% of adults are autistic (in North America, Europe, and Asia). We sought advice from the Autistic Self Advocacy Network, which “seeks to advance the principles of the disability rights movement with regard to autism,” and certified coach Barbara Bissonnette, who offers career development, job coaching, and workplace advocacy for people with Asperger’s through Forward Motion Coaching. Realize that being openly autistic at work can have an impact beyond your own experience. “[It] can also help make your workplace more welcoming for autistic and disabled employees who come after you. … [Y]ou can challenge people’s preconceived ideas and make your field more accepting,” say the folks at ASAN. Remember, it’s all up to you. “[D]isclosing your disability at work is a personal decision, and it is yours alone to make,” says ASAN. Make a list of the challenges you face at work and be proactive by requesting accommodations. 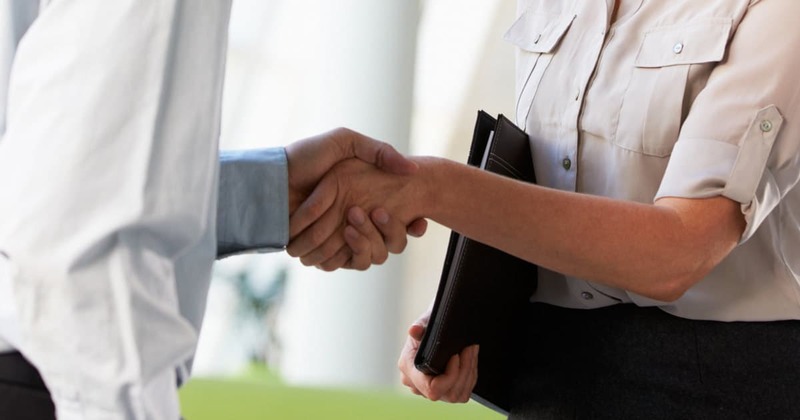 “Make sure that your list does not contain problems related to basic job readiness,” says Bissonnette, who suggests The Job Accommodation Network as a resource, and offers a free guide on her website called Workplace Disclosure Strategies for Individuals with Asperger’s Syndrome & Nonverbal Learning Disorder. You’ll likely need a doctor or another qualified provider to verify your diagnosis, she says. If you are a lawyer with autism (or work in any another field), what would your advice be for Reader M? In your opinion, should you tell your colleagues about your ASD? If you are open about your autism at work, what have been the pros and cons? Readers with any disability/condition that has led you to request accommodations at work: Were your efforts successful? Would you have done differently? Stock image via Deposit Photos / monkeybusiness.